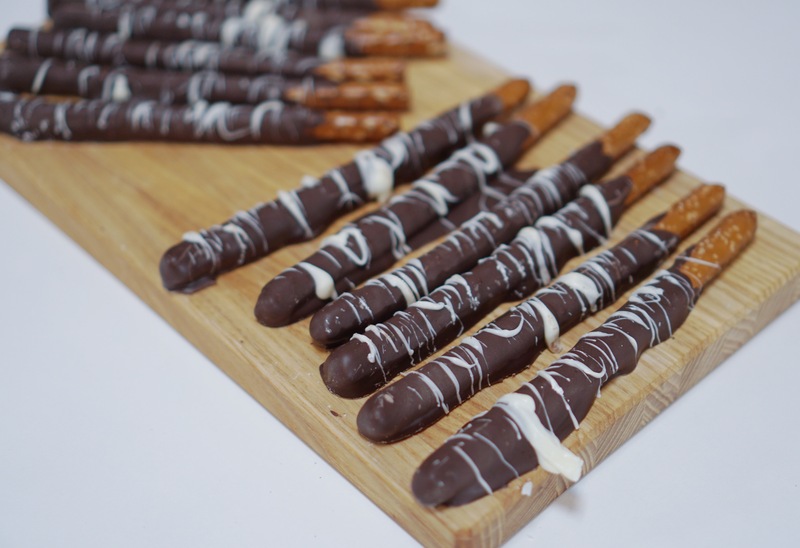 Calling all chocolate lovers! This pretzel is for you! 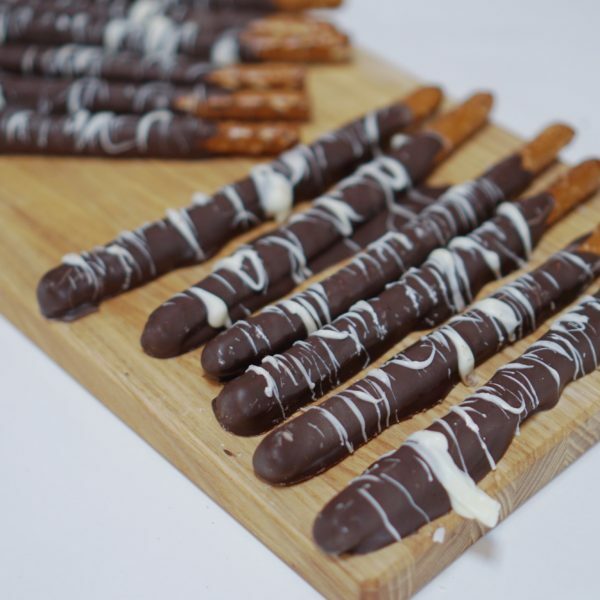 Each pretzel is covered in a chocolate candy coating and drizzled with vanilla. YUM.